A coordinated effort by this company and others is certainly the action plan of the day when it comes to restoring connectivity to the Caribbean Islands. SES and its partners announced that the emergency.lu Rapid Response Kit has been deployed by the Government of Luxembourg to provide vital satellite-enabled connectivity to the coordination center in Dominica, following the devastation brought by the Category 5 Hurricane Maria. In addition to the already-available satellite capacity for emergency.lu services, SES has donated additional satellite capacity to support the high demand for connectivity for relief actions. Another emergency.lu Rapid Response Kit was deployed earlier in the island of Saint Martin to re-establish connectivity to the airport of Sint Maarten, after the Category 5 Hurricane Irma made landfall in the North East Caribbean islands, severely damaging terrestrial telecommunications infrastructure. The Government of Luxembourg sent emergency.lu Rapid Deployment Kits to the region earlier this month, to support the establishment of humanitarian hubs and to provide vital communication links for first responders. 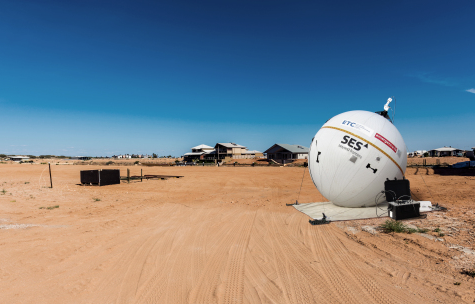 The connectivity provided on an SES satellite is used for broadband and voice communication, to ensure that emergency services and first responders can stay informed and connected, and are able to act quickly, where they are most needed. The solution has been deployed upon the request of the Emergency Telecommunications Cluster (ETC) to support the Caribbean Disaster Emergency Management Agency (CDEMA), and installed by Luxembourg Civil Protection volunteers. The emergency.lu solution consists of satellite infrastructure and capacity, communication and coordination services, and satellite ground terminals as well as transportation of equipment to disaster areas all over the world. Since its inception in 2013, the solution has been deployed dozens of times in various parts of the world, and has provided connectivity for relief efforts after Hurricane Matthew in Haiti, Typhoon Haiyan in the Philippines and in many more crisis situations. Gerhard Bethscheider, Managing Director of SES Techcom Services shared that when a hurricane strikes, communication infrastructures are often badly damaged or destroyed, and the situation can get even worse if first responders, emergency services and hospitals have no access to connectivity, but thanks to satellite technology, communication networks can be rapidly restored, enabling effective and coordinated assistance and aid in the most affected areas. Emergency.lu is a rapid communications solution for global disaster relief and humanitarian missions, developed and implemented as a public-private partnership by the Ministry of Foreign Affairs of Luxembourg. It is designed to help the humanitarian and civil protection community in the field to (re-) establish telecommunication services and support effective communication and coordination of first responders. Emergency.lu can be deployed by the Government of Luxembourg anywhere in the world within hours of a natural catastrophe or man-made crisis.